This week I want to draw your attention to a couple of comics published in The Nib that you might not normally consider when thinking about graphic medicine. The first, titled It’s Time to Rethink How Recycling is Done is a depressing look by cartoonist Katie Wheeler at how our efforts at recycling may not be as helpful as we’ve been led to believe all these years. The second, Long Live the Monarch by author/illustrator Maia Kobabe, lets us know that, yes, actually, we ARE seeing fewer butterflies – and it is probably out fault for mucking around with the environment so much. Both of these comics, to my mind, offer opportunities to explore how the environment and politics of our world impact healthcare – areas often discussed as social determinants of health. While neither of these comics explicitly touch on the health impacts of either recycling (or not) or the disappearance of species (and what causes that), they offer an opportunity for a conversation. A conversation that we ALL need to be having because – as David Wallace-Wells horrifying book, The Uninhabitable Earth: Life After Warming convincingly argues – climate change, the biggest of environmental impacts, is already having direct health impacts (including, perhaps, the sparking of refugee crisis’) and it is only going to get worse. UPDATE! Naturally I didn’t see this great collaborative comic by Mita Mahato and Meredith Li-Vollmer until after writing up the above pick section, so I apologize for it not being part of my longer chat. But you need to see it! 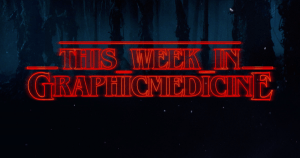 There are two great conferences happening with focuses relevant to graphic medicine right now – I can’t possibility capture everything coming out of them here. So to that I end, I encourage you to go follow along on your own on Twitter/Instagram! Use #PPPatienthood to follow the Performing and Picturing Patienthood event and use #ICAF2019 for the International Comics Arts Festival! Comic: Den-Tor! The Barbarian Hygienist! 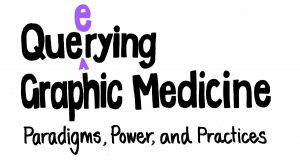 Video: A. David Lewis is kindly making much of his new course on graphic medicine publicly available. This is Graphic Medicine, Lecture 4. Immune system, vaccines, and… Comics? Vortrag: Graphic medicine – können Comics heilen?